Home >> Daily Dose >> Will HELOCs Suffer After the Fed Rate Hike? 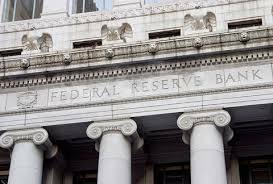 On Wednesday, the Federal Reserve raised its short-term interest rate by a quarter percentage point, a move that is most likely to impact home equity lines of credit (HELOCs) immediately. The statement also pointed to at least two more rate hikes during the year, which will bring the total number of rate increases to four in 2018. According to Sam Khater, chief economist at Freddie Mac, the Fed rate hikes are less likely to impact long-term mortgage loan borrowers this time around. "The Federal Reserve announced their decision to raise the federal funds rate by 25 basis points," he said. "One thing to point out is that there are fewer consumers today whose debt is tied to short-term rates, and because the majority of consumer debt is from mortgages, this means the recent short-term rate hikes will be less impactful than what was seen in the mid-2000s." However, the impact of these hikes is most likely to be felt on HELOCs immediately. “With the Fed increasing the federal funds rate, the interest rates on credit cards and HELOCs will rise within a billing cycle or two,” said Holden Lewis, Research Analyst at NerdWallet.